Amélioration - Capacité. Coût: 0. 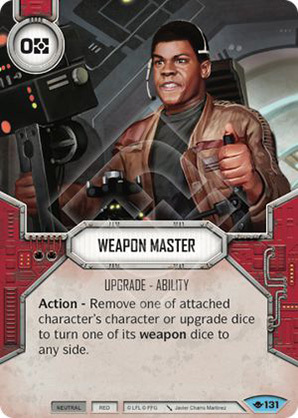 Action - Remove one of attached character's character or upgrade dice to turn one of its weapon dice to any side. Way of the Force #131.